Print media are losing value to digital. They’re facing a mortal threat from the rise of online publishing. As the value of print media continues to shift to digital, print publications aren’t the autocrat as they once were as digital grabs a heavier and heavier weight, their influence has faded. This sea change is accelerating a decade old trend. Audiences are losing interest in paying for print products, and they’re moving to the Internet. New technology is finding new and advanced applications as the costs and methods of content distribution intersects with audience demands. This hits traditional media organizations, unlatching business security to a free-fall of print advertising and decline in circulation, sucking the oxygen out of many print business models. 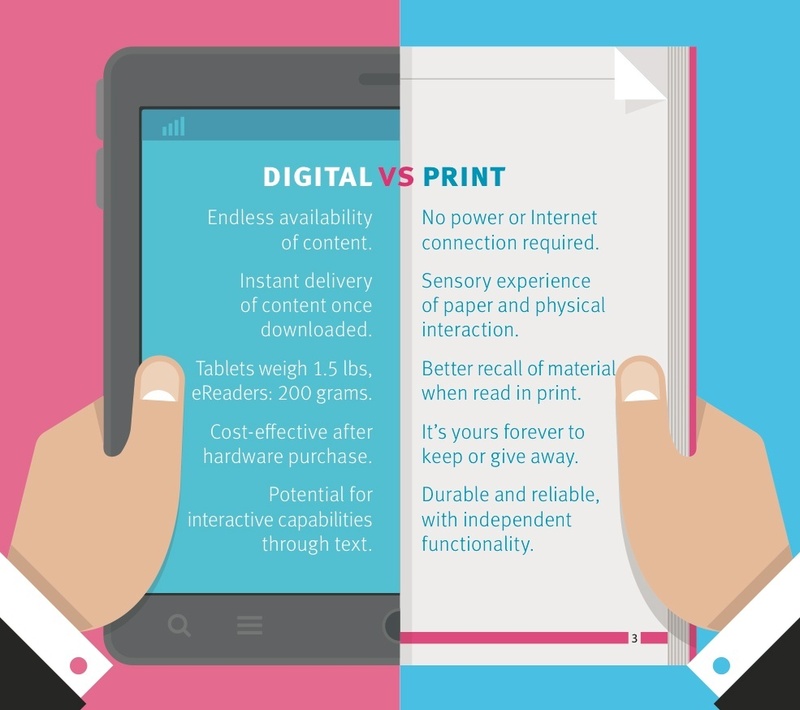 We know that the print vs digital doldrums have been here for quite a while now. But, what exactly are the factors that intensifies this shift in value? CBS Interactive writer and editor, Erik Sherman, gives light on the real reasons why digital media values are outstripping print’s. It’s not that paper has completely given up the ghost. Even so-called digital natives like college students tend to prefer paper books when it comes to in-depth reading. But daily time spent reading magazines in the U.S. dropped from 20.9 minutes in 2008 to 15.5 minutes in 2013 and may slide to only 10 minutes by 2018. The amount of time spent with online media continues to grow. Investors like money, and a major shift in where ad dollars are flowing is underway. According to Pew’s annual State of the Media report, newspaper ad revenues are down 4 percent, while digital ads are up 18 percent. Buying the ad coverage you need. One reason print companies were so profitable is that they were similar to old-fashioned records. If you wanted one song, you had to buy the whole album through forced bundling. Similarly, if you wanted one part of a print publication’s audience, you had to pay for the whole block. When separate regional editions existed, an advertiser might have been able to select a specific area, although at a higher price per reader. Digital is far more flexible in targeting. A growing trend online is called programmatic advertising. It’s a way of automating much of the process of placing ads and also includes the capability of tightly targeting specific individuals that data suggest might be interested in a company’s messages. Doing something like that in print requires direct mail, which is vastly more expensive. Advertisers opt for faster, cheaper and better, and investors follow the money. Trying to spot the winners. Of course, investors are always looking for winners. Which companies will ultimately be the digital victors and become the online equivalent of old print giants? Although total digital ad spending is up, individual ads are incredibly cheap. So, making real money online takes a lot of work. Reduce the number of publishers, and the ones left standing will have more leverage in negotiations and can perhaps drive up ad rates and profitability over time.Read full article on CBS News. Realview helps news organizations and help them make informed decisions about why and how to utilize today’s digital platforms. Keep reading to learn how Realview creates value and join our multitude of clients who turn the page from their traditional format and evolve into an mobile or online newspaper to stand out!